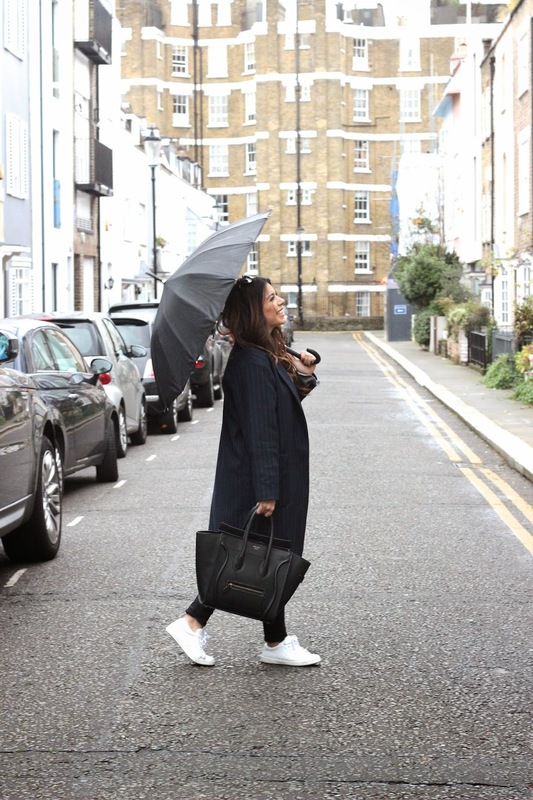 A typical rainy day in London and obviously I made a great footwear choice (currently using baby wipes to clean them). It was that annoying spitting/makes your hair frizzy rain. 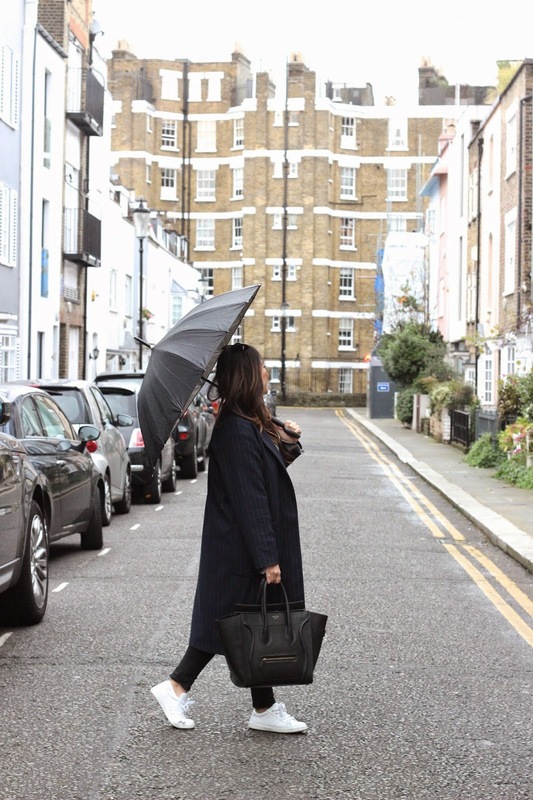 Luckily my friend brought her massive umbrella that I thought looked really good in the photos. As you can see I couldn't keep a straight face when she was taking the photos! We spent the day in Chelsea, had a healthy lunch at The Good Life Eatery (amazing food), had our haircut and messed about in the Harrods Christmas department. I love dark outfits like this with a pop of white to make the trainers stand out more. Someone needs to stop me from wearing these trainers everyday - seriously. p.s Starbucks red cups means Christmas is hereeee!